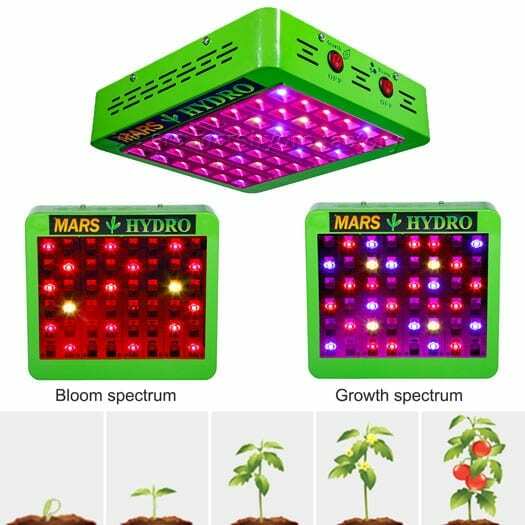 Mars Hydro is the LED grow light brand that has made a considerable customer base in the market because of its budget-friendly lights. The brand has turned its price advantage into a competitive edge. 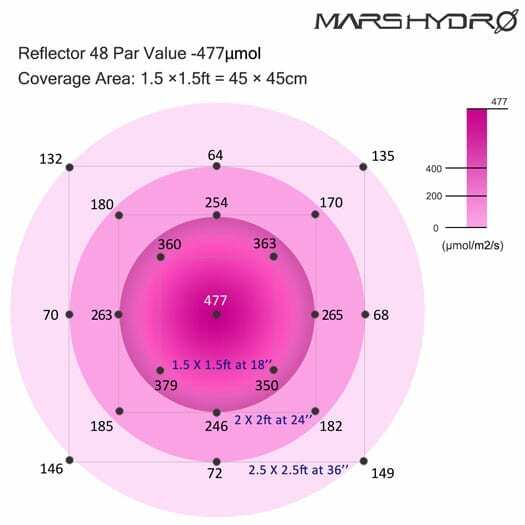 The Mars Hydro Reflector 48 is focussed on price as well. The Mars Hydro Reflector lights have four different sizes available including the Mars Hydro Reflector 48, 96, 144 and 196. 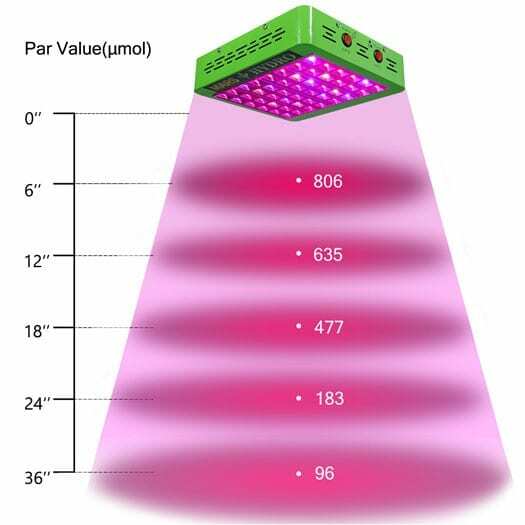 These are some good budget-friendly options on the LED grow light market. We have tested all these lights extensively and we have got reviews on all these lights on our website. All these variants come with a special reflector panel with mirror finishing. This mirror-finish is excellent for mixing and reflecting the light emitted by the LEDs. It makes them the best lights for indoor growing. Also, these lights are highly energy efficient as well. In this article, we will be focusing on Mars Hydro Reflector 48. So, without any further ado, let’s have a look at some of its top features. 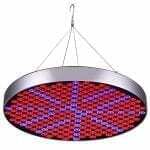 The large-sized mirror-like reflector of this light surrounds all diodes. It can collect up to 99% of emitted light to spread and fuse it evenly. This technology has been patented, and it is what signifies the Reflector Series from Mars Hydro. 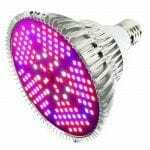 The light spectrum is the on of the most important features that you have to consider if you want to buy the best LED Grow light. If your plants don’t receive adequate and balanced spectrum, you won’t be able to receive good results. The Mars Hydro Reflector 48 has ten different bands of light including white range, 650nm to 660nm, 620nm to 630nm, 45nm to 475nm and 430nm to 440nm. At 730nm there is also an infrared spectrum available. Each of the sizes available in the Mars Hydro Reflector Series has different coverage. It is due to the number of diodes. A large number of diodes will give you more area coverage. Mars Hydro Reflector 48 can conveniently cover an area of 1.5 feet x 1.5 feet. 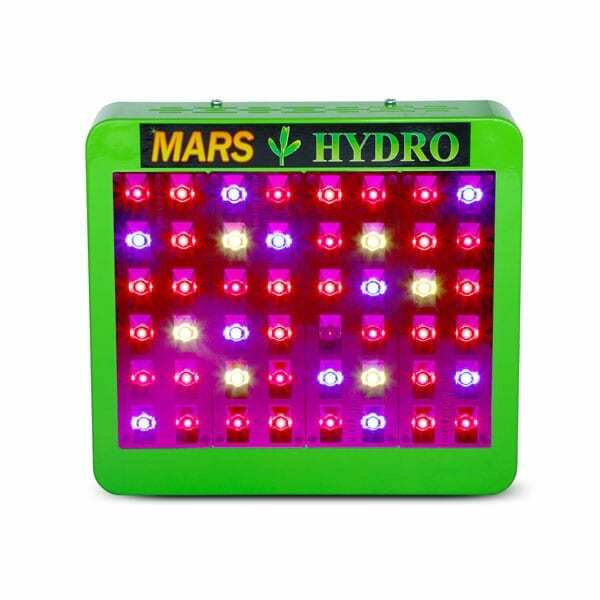 It means the Mars Hydro Reflector 48, for this price, is one of the best lights for indoor growing. Just recently, Mars Hydro has started to use 5W diodes in the Reflector Series. Before that, the lights had 3W diodes. The increase in wattage enables the diodes to emit more light, compared to the past products. It has been one of the primary reasons why value growers have shifted to these lights for better results. Nowadays, LEDs are better than HIDs in terms of energy efficiency. LEDs are made to last approximately 50,000 hours and remain energy efficient. With 120V, the Reflector 48 can produce 102W with +5% and with 240V it can produce 100.6W with +5%. Some of the best LED Grow lights are switchable, and Mars Hydro Reflector series is no different. A light with a single intensity can be too harsh for younger plants, seedlings or clones. Therefore, the Mars Hydro Reflector 48 comes with a switchable mode so you can toggle between all diodes or half diodes. On both sides, the light has a switch that you can flip to turn off half of the panel. Full light is best for blooming stage. A good quality panel keeps the light cool. 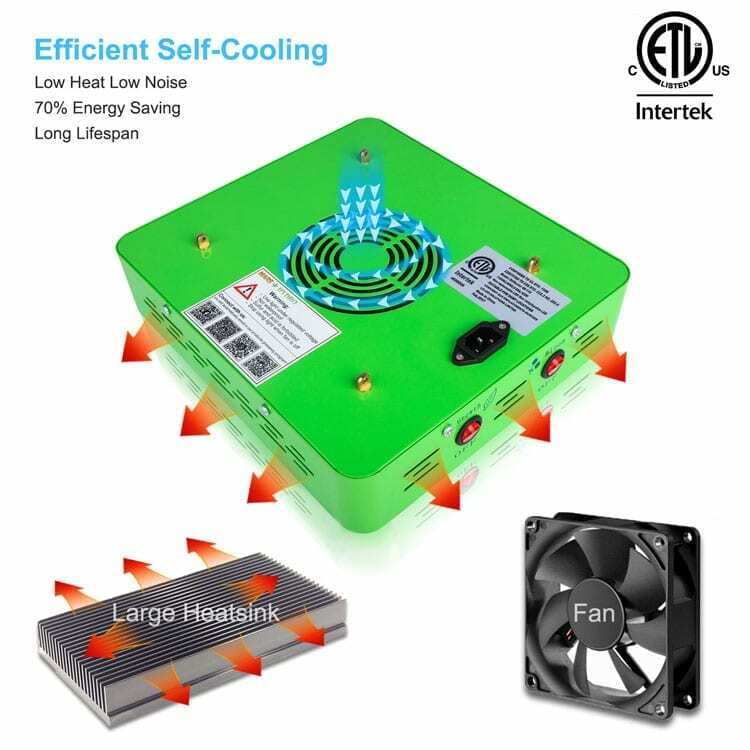 One of the crucial features of a LED light is its cooling ability. Because of the intensity, you need to give them a little rest or they will burn out. The Mars Hydro Reflector 48 has great cooling and you can keep it on for 18 hours a day for straight seven days. You won’t find any malfunctioning or overheating issues. Also, the heat it produces doesn’t heat your grow tent/space. The Mars Hydro Reflector 48 is best for all stages of plant growth ranging from seedling to blooming. It is one of the best LED Grow lights because it is incorporated with switchable mode with which you can alter the intensity of light. The mirror-like reflectors collect and fuse up to 995 of light emitted by the diodes to cover a good area. The spectrum of Reflector 48 comprises of all lights needed for different stages of plants’ growth. The 5W diodes are highly energy efficient. It’s a budget model and therefore the light doesn’t have the most durable parts available. This small and effective LED grow light is one of the best LED grow lights out there. The Mars Hydro Reflector 48 offers good area coverage and broad spectrum that suits all stages of your plant’s life. The light is a leader in its price range because of its yields and price. The 5W diodes are energy efficient while the reflector panel can collect and fuse up to 99% of light for excellent results. This way, this light is an affordable and high yielding light for small spaces. 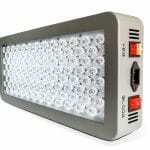 Looking for a cheap and small LED grow light? This Mars Hydro Reflector 48 really should be a serious option for your grow room. Are you looking for a larger light in the same series? Check out the Mars Hydro Reflector 96, Mars Hydro Reflector 144 or the Mars Hydro Reflector 192.